Today was a long 26k walk over challenging terrain. “I” can be forgiven for not concentrating fully on Madame’s 15 minutes welcome spiel last night. 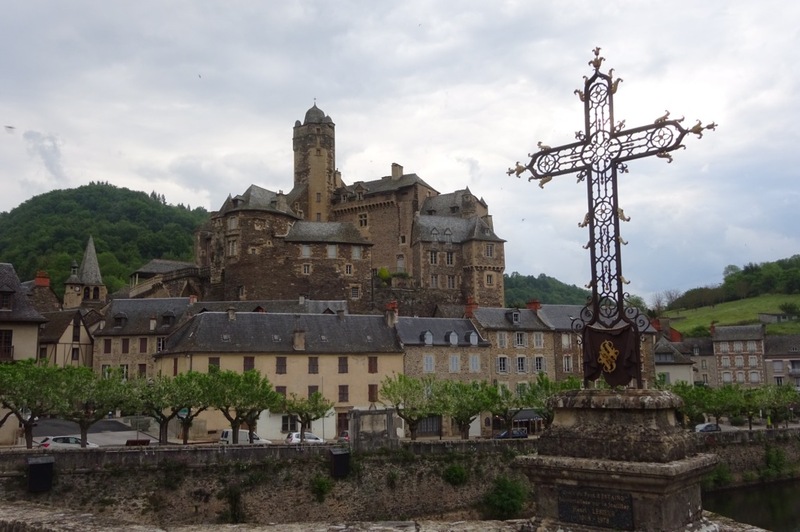 Madame had warned there was only one lunch stop today and “I” thought she said it was at Campagnac. So it was that when we approached the village of Campuac “I” suggested we sit in the muddy corner of a field to eat our cereal bar and drink our tepid water. In the background the farmer was spraying liquid fertiliser from a trailer behind his tractor and we just missed an early shower. Soon after that, we set off. 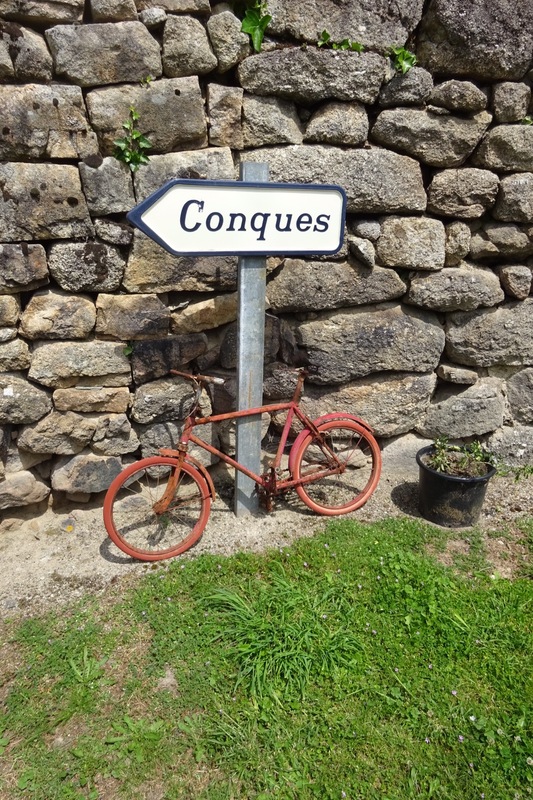 I noticed a bar and boulangerie in the village but “I” assured me that we would eat well in Campagnac. Off we went. 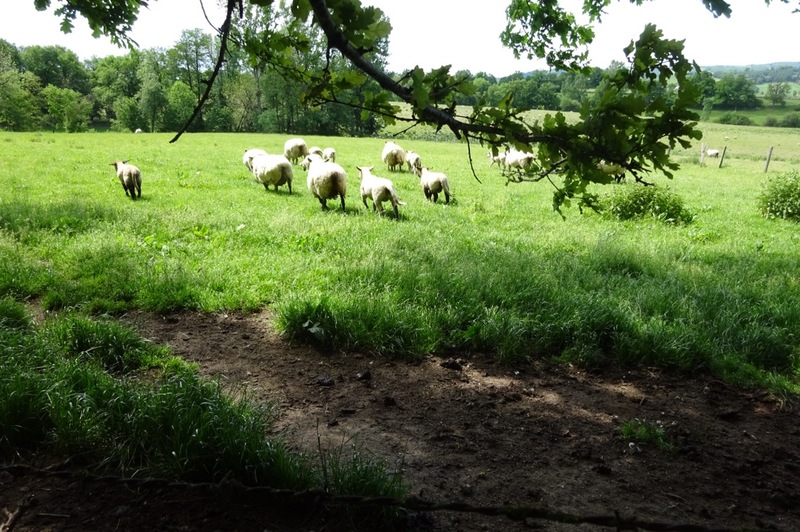 It was a long walk to Campagnac and I was already planning a nice salad and selection of local cheeses rather than the usual sandwich. Perhaps even a small 1664. 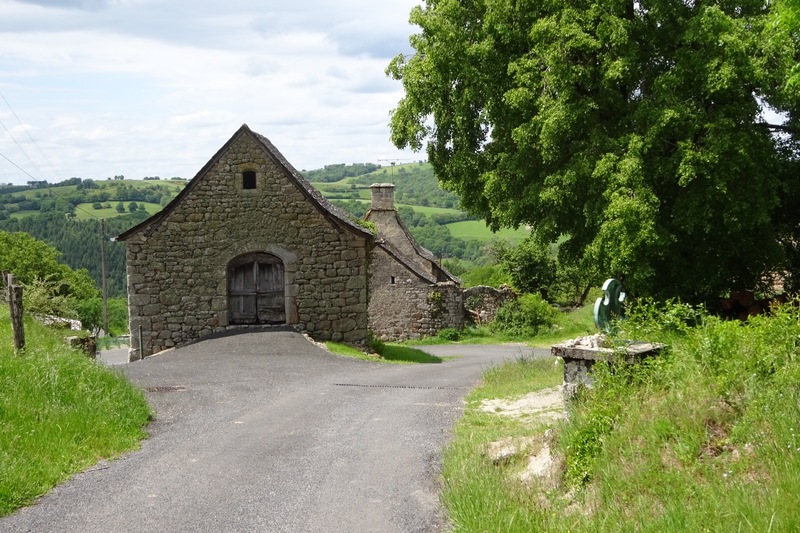 The first hint of disappointment came when we passed an abandoned farm and “I” said it was in fact Campagnac. We scanned the maps and apart from the facilities at Campuac there was nothing more to be seen. Except for a tea cup symbol in Le Soulie, a little further along the way. 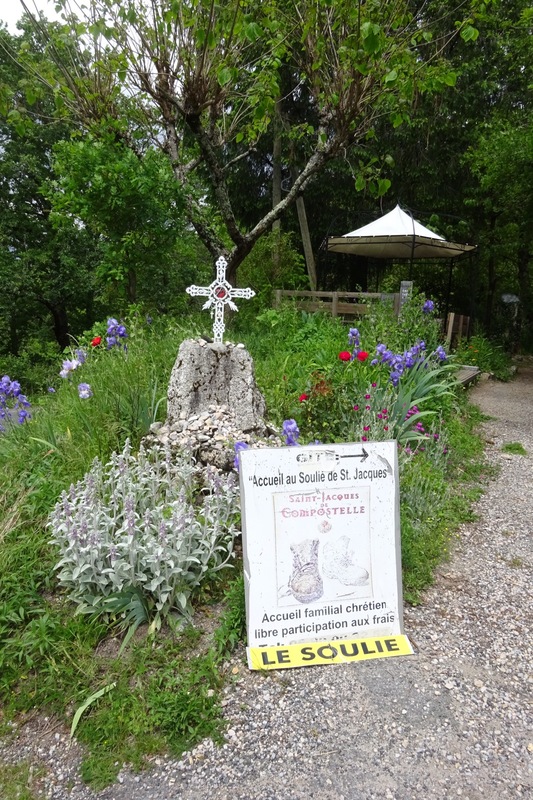 Le Soulie turned out to be some sort of religious retreat. A priest welcomed us as pilgrims bound for the Apostle in Compostela and allowed us some time to pray at a rare statue of Saint-Flour. I prayed for lunch and was rewarded with a small black coffee and 2 long lasting Madeleine sponge fingers. We made a small donation and set off. In due course I noticed a small group of pilgrims joining the GR65 from some thick undergrowth. The man in front, who was clearly the leader, reminded me at once of Monsieur Hulot. He strode forward with purpose and confidence, holding a small GPS device. We were following at some small distance when suddenly, and for no reason, the group reversed and came back towards us. “I” engaged Hulot in conversation. 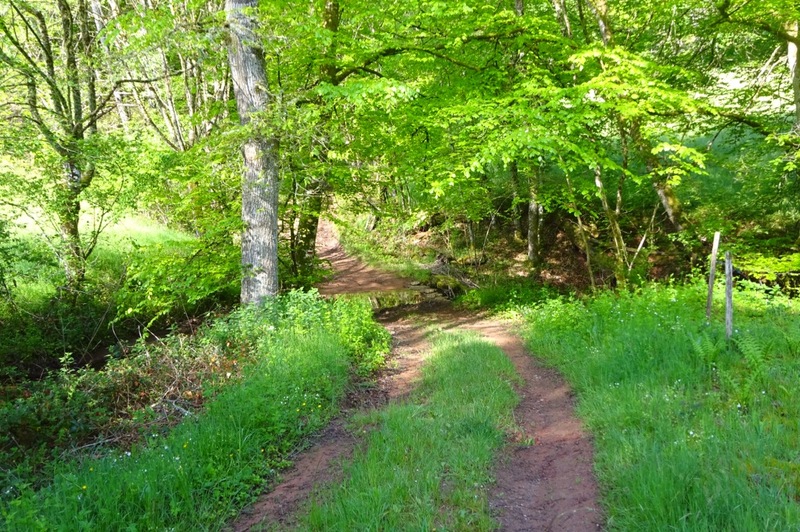 I assumed the path ahead was blocked by a fallen tree but “I” said that the GR65 signs were wrong and we should follow the group. So we followed them back past a “wrong way” sign and into new virgin territory following M Hulot and his GPS device which I noticed had a small red flashing light. I said to “I”, “he is wrong”. “I” later said I should have been more assertive. M Hulot led us to what would be described in a basic geography textbook as a cliff face and over we went. I would have photographed the descent if I wasn’t hanging on for my life. At the bottom we were met by a fast flowing river. We edged along the bank for a few hundred meters until a small road came to our rescue. 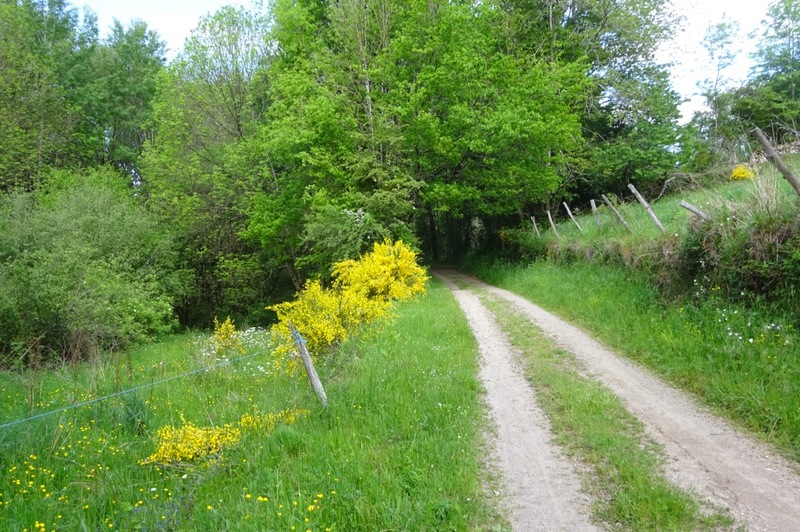 At a junction, M Hulot announced there would soon be a cafe around the corner but I told “I” that I would not follow him another centimetre and we found our way back to the GR65. As we approached our destination of Senergues the storm clouds grew darker. “I” assured me there would be no rain before 5pm, according to some French weather app. I tend to use AccuWeather because not only does it have lots of interesting advertisements but it really is accurate. The rain started at 3.30. 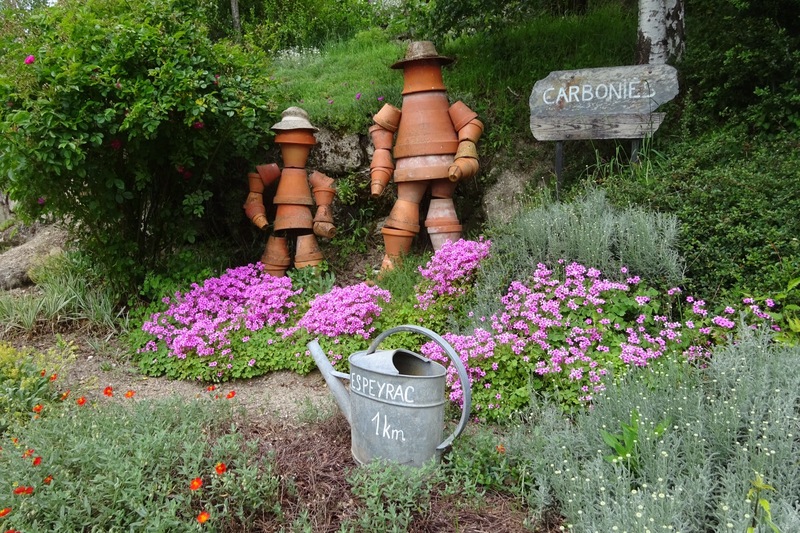 We were only a few minutes away from the gite but we would have to put on the rain gear. 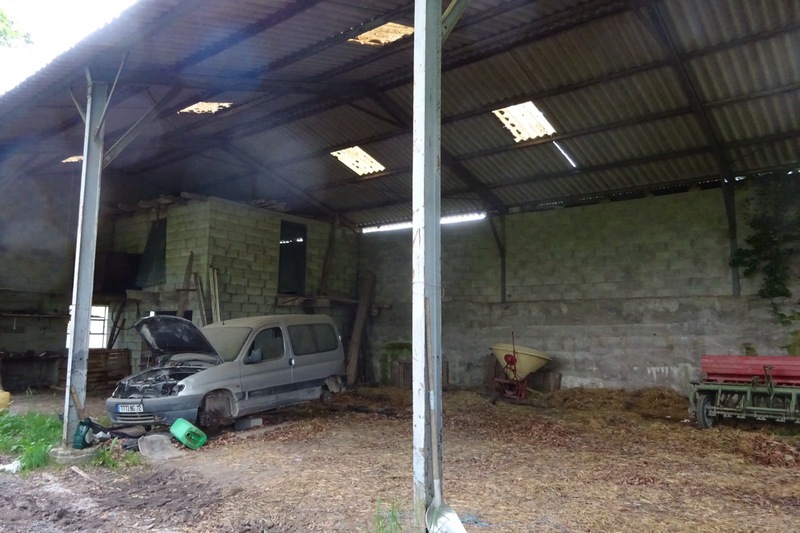 I pointed to an old barn which “I” thought was dirty but was actually a veritable museum of rural French life. There was a classic Citroen Berlingo undergoing restoration. 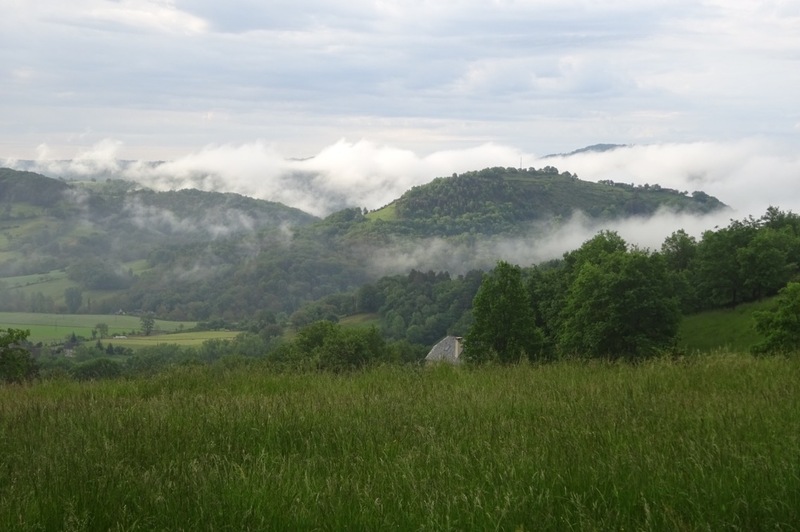 We put on the rain gear and walked the final 400 metres to the gite. 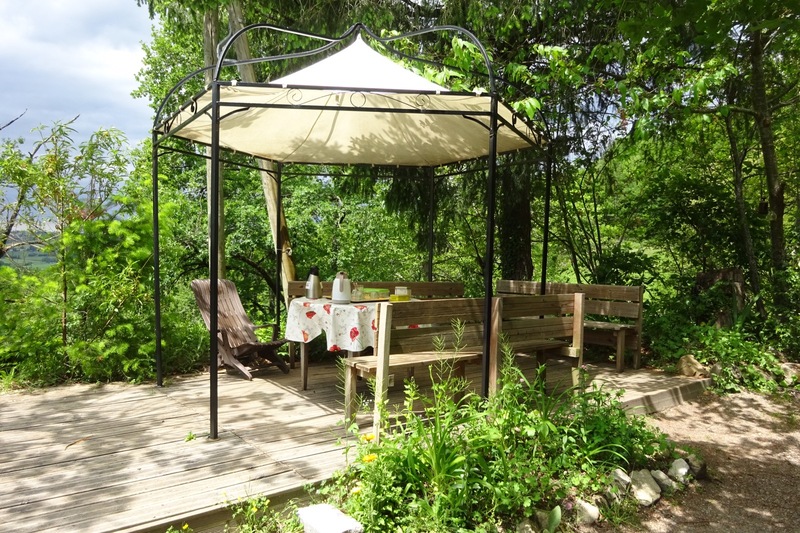 The Demaine de Senos gite is very pleasant. 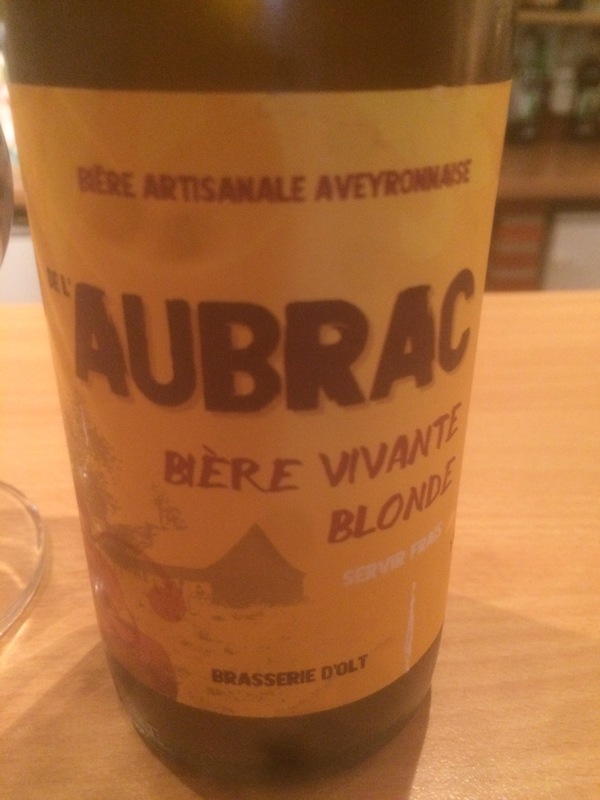 I’ve showered and drank a very likeable Aubrac blonde and written up the day’s events. Just now there was a commotion outside and M Hulot has arrived with his followers dripping wet and looking the worse for wear.